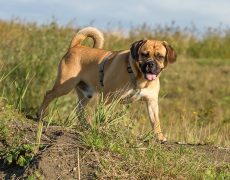 The Puggle is a unique cross of two of the best breeds of the world — the Pug and the Beagle, and perhaps one of the cutest designer breed anyone can have. 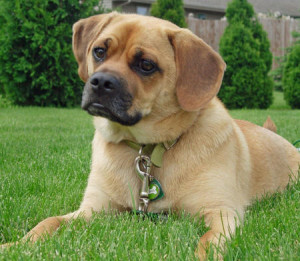 The Puggle is half Beagle and half Poodle in its appearance. 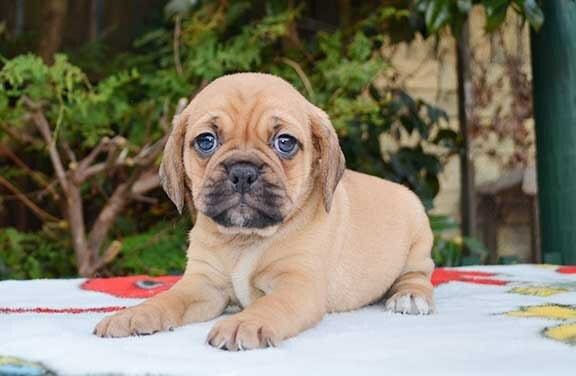 It takes after the Pug regarding its wrinkled look, while most of them have inherited the Beagle’s long muzzle, hanging ears and a curved tail. 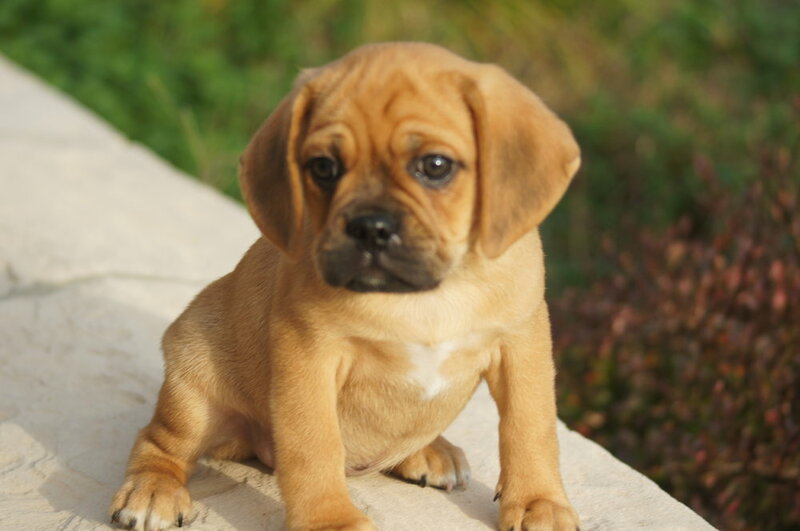 While Puggles are small-sized mixes of the Beagle and Pug, Pocket Puggles are the miniature versions of the latter, weighing below 15 pounds and having a height less than 10 inches. 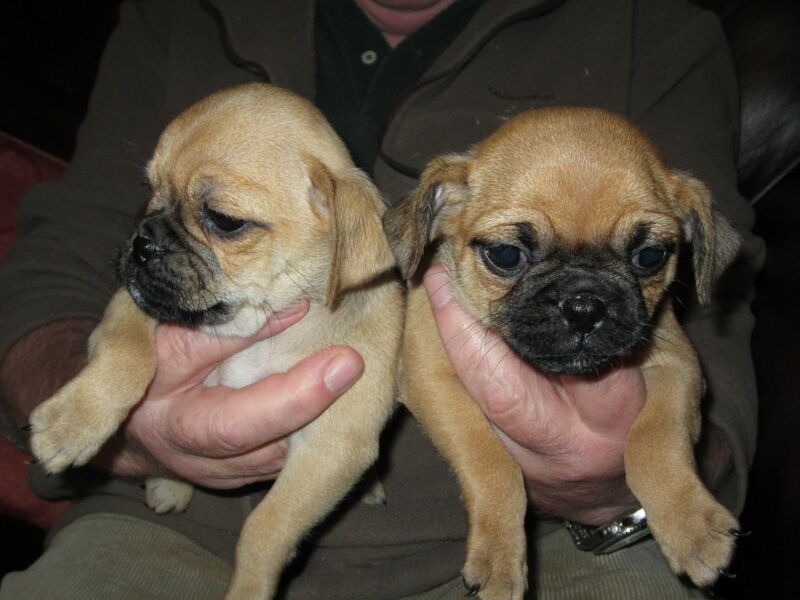 Pocket Puggles are however undesirable as they have higher chances of inheriting a lot of genetic defects. Originating in the 1980s, Wallace Havens, a Wisconsin breeder was said to be officially responsible for its creation. 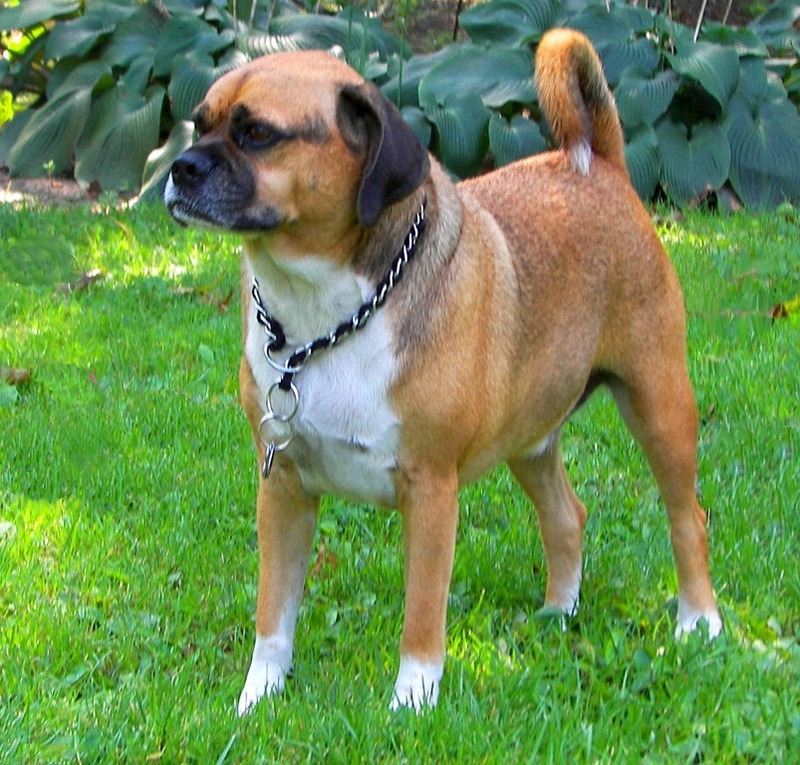 However, much before Havens, some other breeders had also experimented in developing this unique breed. 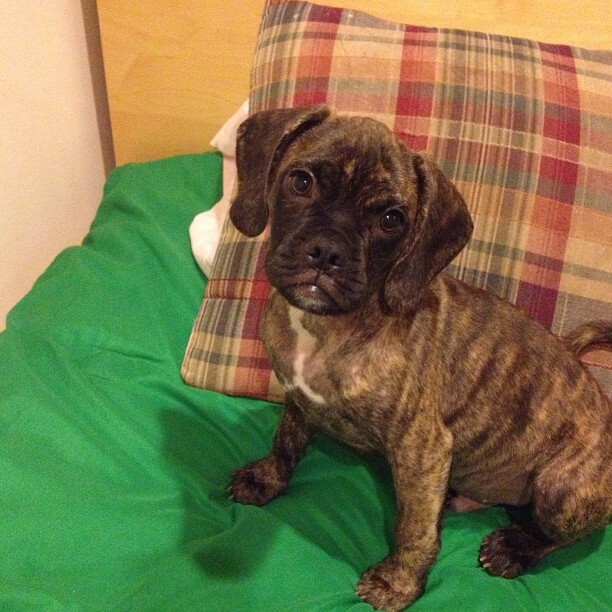 Havens registered these dogs the ACHC (American Canine Hybrid Club). 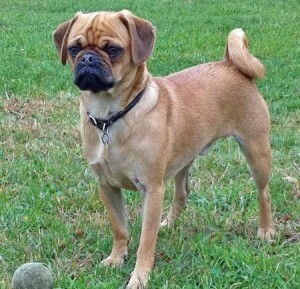 Though no major clubs like the AKC, CKC, and UKC recognizes it. 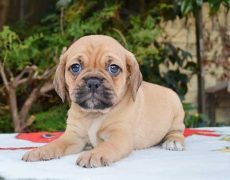 Gentle, friendly, smart, sweet, and affectionate— these are the traits that define a Puggle, which it rightly inherits from its Beagle and Pug parents. 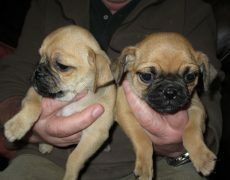 They are the perfect cuddle dogs one could ask for, loving to hop into their owner’s lap and snuggle to bed with him. This trait could perhaps trigger separation anxiety in them as they cannot withstand being left alone for prolonged periods. 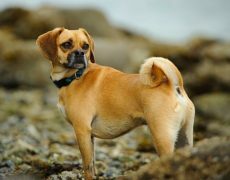 However, it also follows its parent’s footsteps in terms of stubbornness and may get extremely headstrong and independent at times. 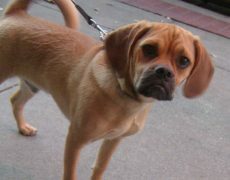 If it takes to the Beagle’s side, then letting out a bark as well as a howl would be one of its characteristic traits. 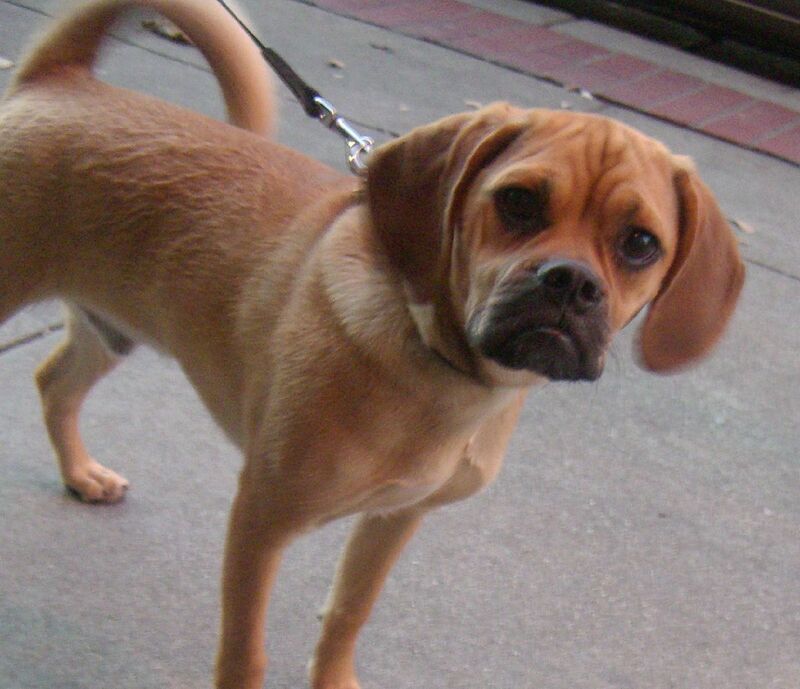 However, they do not excel to be effective watchdogs as their Beagle parent. 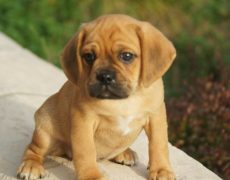 Puggles are friendly with babies and even older children, emerging as the perfect playmate the little ones could ask for. 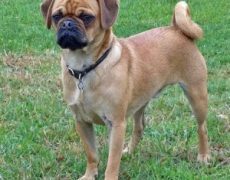 They are also known to coexist well with dogs, especially when brought up with them, but could derive the Pug’s possessive trait and be a little jealous when another house canine is sitting on his master’s lap, and getting pampered. 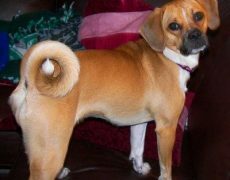 Their interactions with cats are a little unpredictable, as they could display the Beagle’s chasing instinct and get after the smaller pets. 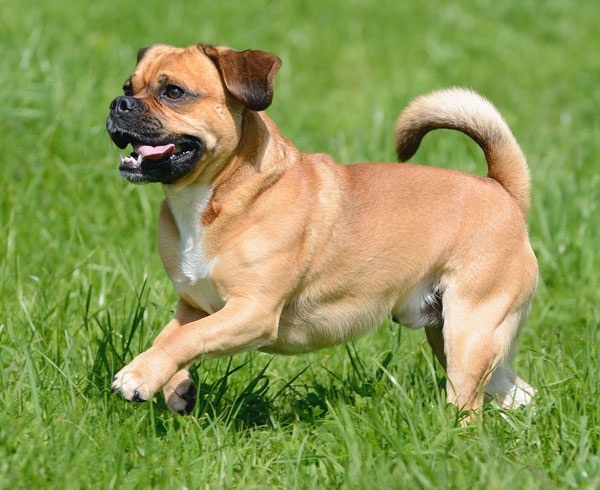 They have moderate exercise needs, requiring a brisk walk, alongside sufficient playtime. 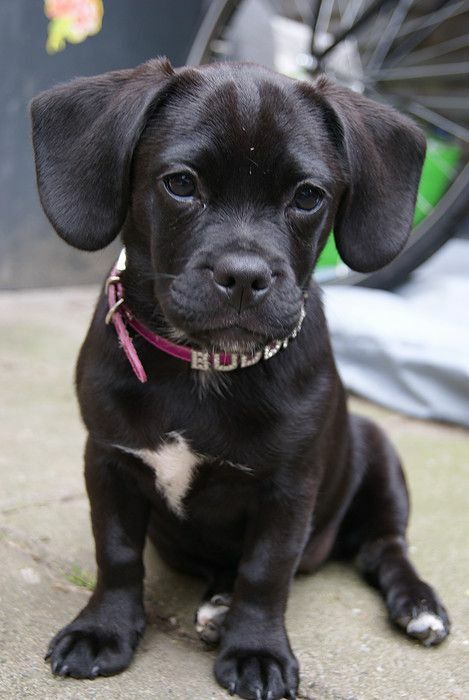 However, make sure you leash them when you take them out on a walk. 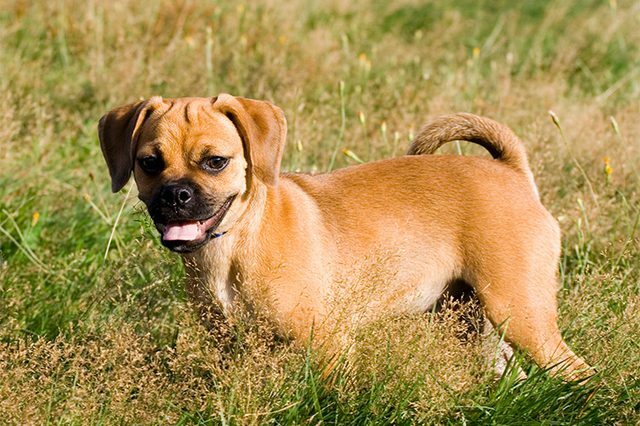 A rubber curry brush is needed to comb their short coat on a bi-weekly basis. 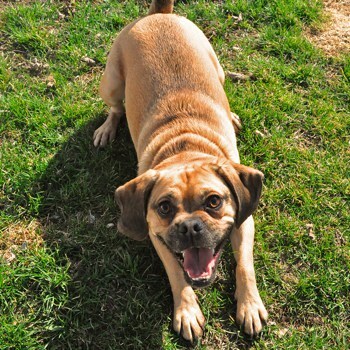 However, during the shedding seasons, they need to be brushed on a regular basis for dead hair removal. You should also ensure to trim its nails in one or two weeks’ time, alongside brushing its teeth as well as cleaning its eyes and ears. 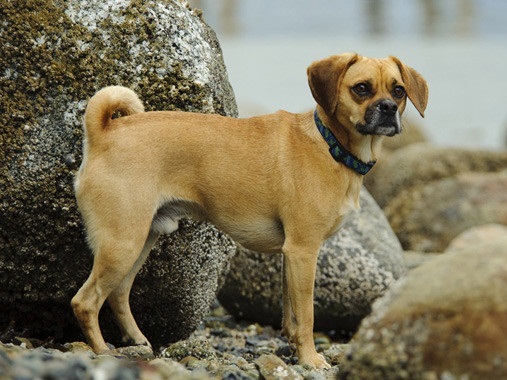 There are chances of the Pug-Beagle mix to develop respiratory problems like the Pug, particularly if they have short snouts like the latter. 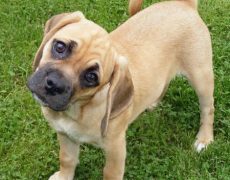 They could even develop eye problems like cherry eye, and progressive retinal atrophy, that both their parents suffer from. 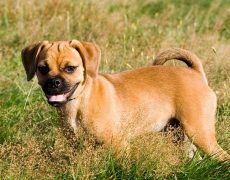 Hip dysplasia and environmental allergies are the other common conditions the Beagle and Pug mix could get afflicted with. Despite their cute disposition and high intelligence level, their stubborn nature could pose challenges while training. 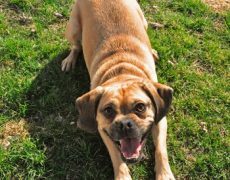 The master should be firm and even introduce positive reinforcement techniques. 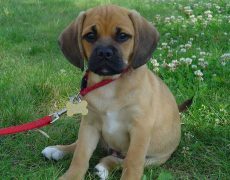 Giving obedience training to the Puggle puppies is of utmost importance since they tend to display certain destructive habits of both their parents like incessant barking, digging, chewing and wandering around. Engaging them in some activity or the other would keep them busy, preventing them from resorting to destructive behaviors. 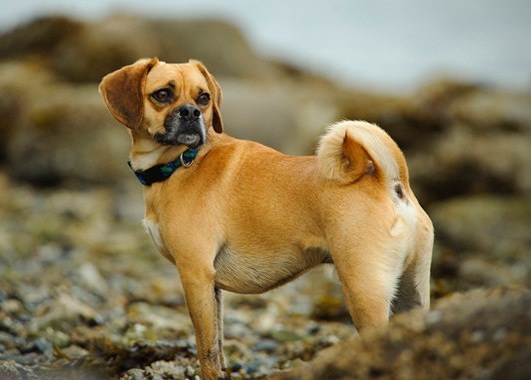 They should understand the command “No” very distinctly so that the Beagle and Pug mix can stop barking or digging the moment he hears your loud and clear voice. 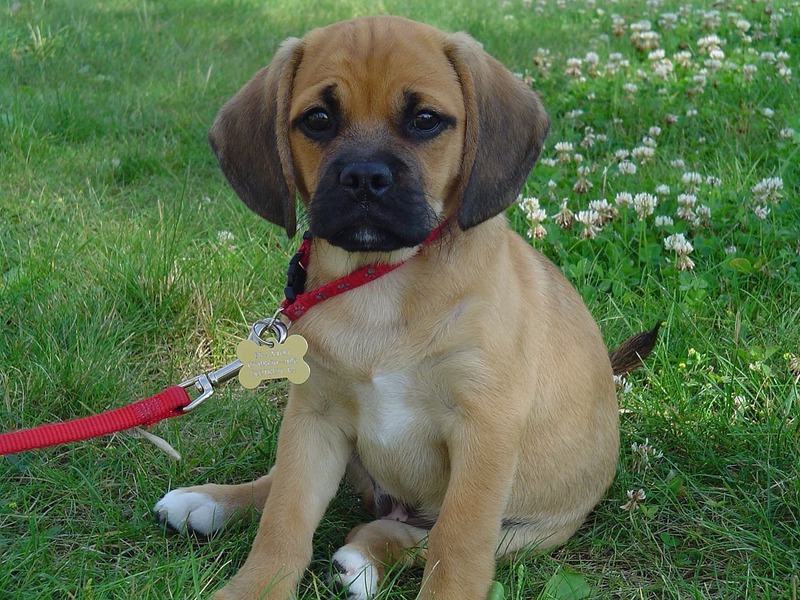 Crate training your Puggle is essential to help it get over its separation anxiety. 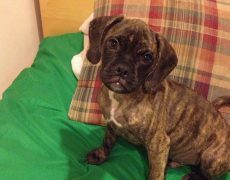 Accustom it to stay in the crate at least for sometimes in a day since its puppyhood. 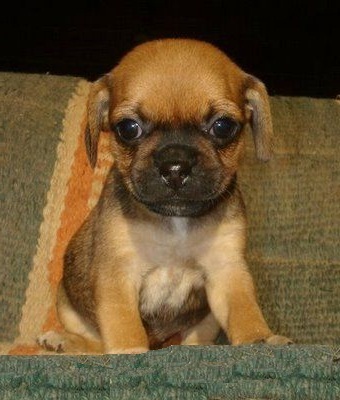 Make the environment of the crate warm and homely by stuffing it with all of your Puggle’s favorite belongings. First keep it inside for a short span and then increase the time. 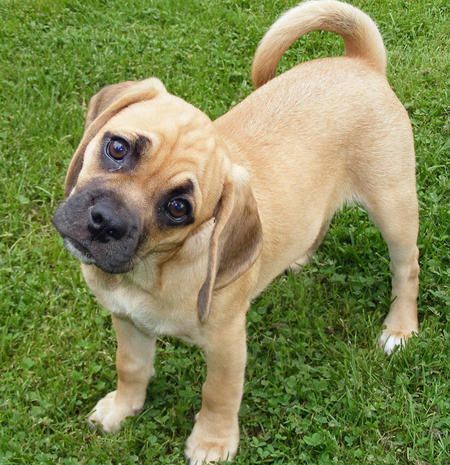 You can also teach it the command “In” or “Kennel” so that he associates this with the crate and gets in whenever you ask him to do so. 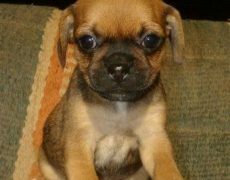 Housetraining the Puggles would regularize their toilet schedule. 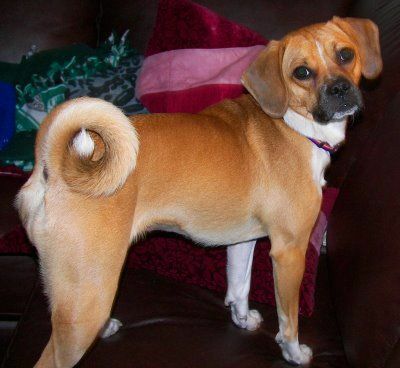 First, you need to select a particular area where your Puggle would eliminate every day. Take it out to that designated place every morning and then in two hours for the whole day. 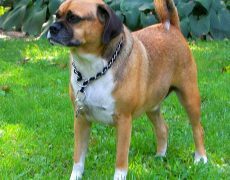 Once he does his business reward and encourage him so that he housebreaks every day without showing any stubbornness. 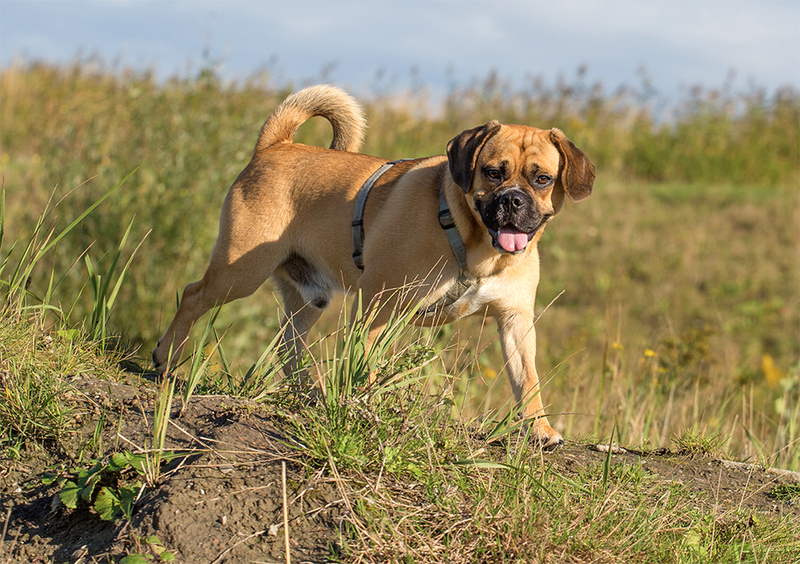 While selecting a dog food for the Puggle, make sure you go for the ones that contain essential nutrients like Vitamin C, E, fats, and amino acids. 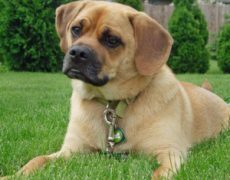 Blue Buffalo, Tate of the Wild and Royal Canin are few of the good brands of dog food that you can select for your pet Puggle. 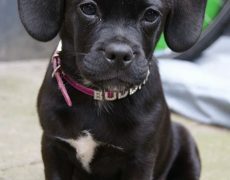 A homemade diet comprising of boiled vegetables and meat may also be added to its dog food in measured amounts, but always speak to the veterinarian before doing so. 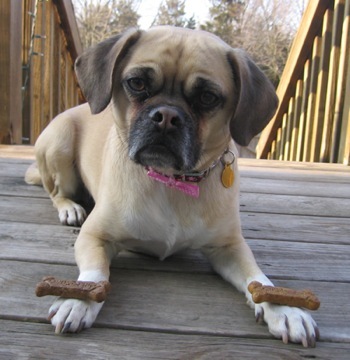 You should take special care in your Puggle’s diet as they tend to get obese which in turn could trigger problems like respiratory distress and hip dysplasia. 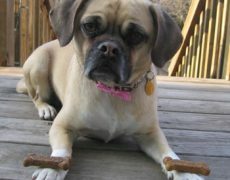 You should feed a full-grown Puggle about one to one and a half cup of dry dog food regularly, twice or thrice in a day.